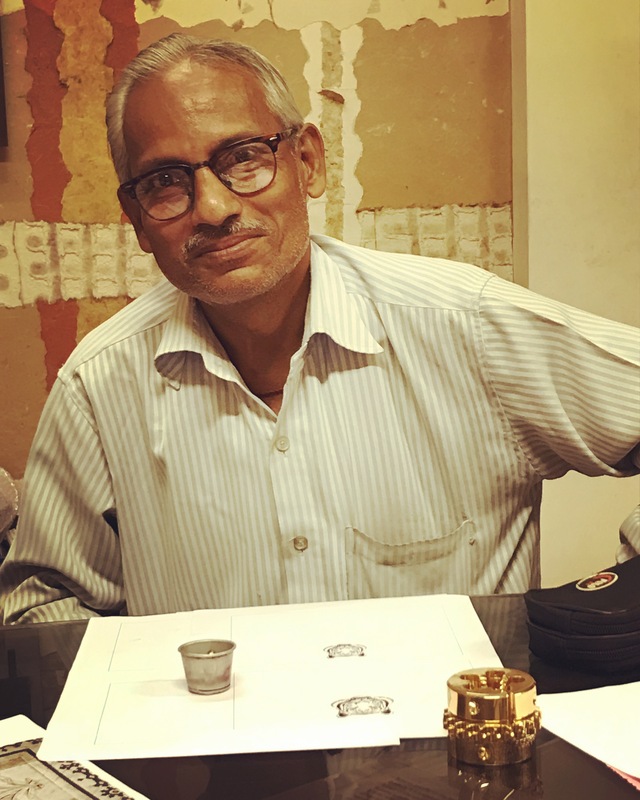 TK Saab, a master die maker only uses a ramshackle magnifying glass similar to the ones used at watch repair shops to view the drawings that we have for him. His simplicity is inspiring and admirable. He proudly shows us his full day bus ticket that he can use to travel seamlessly across Delhi. We enjoy one to one conversations with most of our people, we listen to them; their joys and sorrows, their stories of hope and despair. In the past he had to sell-off two houses to pay for his wife’s medical treatment. Last year his daughter got married, it was a struggle for him to collect funds. He is a proud man, always dressed immaculately. We discuss the tiger that we have given him, he is the only living legend that can make a die of it. He will painstakingly carve out every hair of the tiger. His tools are basic and the work like no other. He keeps telling us about this one cutter that someone got him from London, It’s completely finished with regular use and is hoping we get him a replacement. We have learnt to value his work because he is one of the rare talents that still remains in this field. He is and will always be an integral part of the Anand Prakash story.